Tallink's new ship Megastar is set to begin operating on the Helsinki–Tallinn route. The ship will embark on its maiden voyage from West Harbour on 29 January at 16:30, the company said in its press release. The ship's embarkation and disembarkation procedures will initially be conducted at the current West Terminal 1 (T1). However, the ship will start using the new West Terminal 2 (T2) once the terminal's construction is completed. West Terminal 2 will be used by Tallink's ships Star and Megastar, in addition to which Eckerö Line's Finlandia will start using the new terminal in June. The construction of West Terminal 2 has been proceeding swiftly. The building will be put into operation in stages, and should be fully operational at the end of February. West Terminal 2 was originally scheduled for completion in April 2017, but the terminal is now set to be put into use ahead of schedule. The new terminal will significantly reduce the walking distances to and from ships. 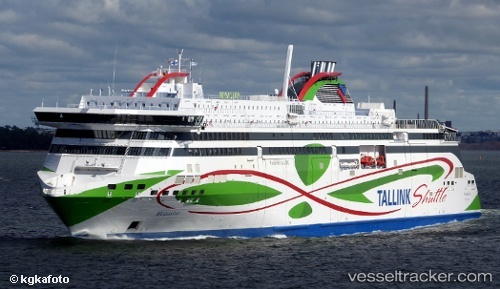 Wärtsilä has signed a five-year maintenance agreement with Estonia based AS Tallink Grupp for their new RoPax ferry M/S Megastar on the Tallinn – Helsinki route across the Gulf of Finland. Megastar starts operation on 29 January 2017, the Finnish company said in a press release. The ferry is powered by Wärtsilä dual-fuel engines which operate primarily on liquefied natural gas (LNG), to meet the requirements of environmental legislation. Under the agreement Wärtsilä will optimise the vessel’s performance, enhance its availability and reliability, and improve financial predictability for the customer. The service agreement also covers Wärtsilä’s Condition Based Maintenance (CBM) and online remote support. LNG Fast Ferry Megastar was delivered to Tallink from Meyer Turku Shipyard on January 24, 2017 according to the schedule. Megastar will set a new standard for ferries on HelsinkiTallinn route by customer comfort and environmentally friendly technical sophistication, the shipbuilder said Tuesday in a press release. When Megastar starts operation on the 29th of January 2017, travelling between Helsinki and Tallinn, she will be the most advanced fast ferry in the Baltic Sea. Megastar is not just powered by environmentally friendly LNG (liquefied natural gas), but the ship also has an extremely advanced hull shape resulting in substantial fuel savings during the ship’s operation.